General Rawat said exemplary punishment would be given to Major Gogoi if he is found guilty. 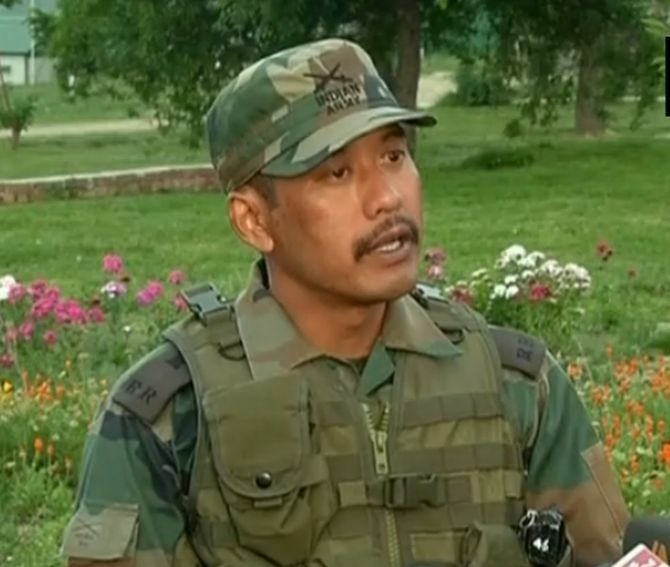 The army on Friday ordered a Court of Inquiry against Major Nitin Leetul Gogoi for alleged violation of rules and regulations after he was detained by the Jammu and Kashmir Police earlier this week following an altercation when he had attempted to enter a hotel with an 18-year-old woman. The officer had stirred a controversy last year by using “human shield” to escape stone-pelting mobs during a Lok Sabha by-election. According to army officials, a Court of Inquiry has been instituted against Major Gogoi. He is likely to be tried for alleged violation of Section 63 of the Army Act which relates to “violation of good order and discipline”. “Any person subject to this Act who is guilty of any act or omission which, though not specified in this Act, is prejudicial to good order and military discipline shall, on conviction by court-martial, be liable to suffer imprisonment for a term which may extend to seven years or such less punishment,” the section reads. The future course of action against the officer would be decided based on the findings of the probe, the officials said, adding the CoI would be held at the formation level which would be headed by a Colonel. The order for CoI came shortly after Army chief General Bipin Rawat said in Pahalgam that exemplary punishment would be given to Gogoi if he was found guilty of “any offence”. “If any officer of the Indian Army is found guilty of any offence, we will take strictest possible action,” Rawat told reporters in Pahalgam, while on a visit to the army Goodwill School. “If Major Gogoi has done something wrong, I assure you that he will be awarded punishment at the earliest... The punishment will set an example,” the army chief said. The Jammu and Kashmir Police is already conducting an investigation into the May 23 incident when the major, along with his driver and a young woman from Budgam, were handed over to the police. The hotel staff had denied Gogoi entry into a room with the woman, the officials said. Gogoi’s decision to tie a civilian to the bonnet of his vehicle in Kashmir last year had sparked a row. In a related development, former chief minister Omar Abdullah sanctioned Rs 1.3 lakh to the family of the woman, who was detained by police along with the major, after reports suggested that the financial condition of the family was not good. The money was being given to the family, living in extreme poverty in Budgam, to construct a house, Abdullah’s political secretary Tanvir Sadiq said on Twitter. “Our local party office-bearers have visited Check Kawoosa area of Beerwah. After a first hand report and finding the family living in extreme poverty and living in a tin shed, Omar Abdullah has released an amount of 1.30 lakh,” Sadiq tweeted. In a letter to the District Development Commissioner, Sadiq said that the former chief minister, who represents the area in the state assembly, has directed him to release Rs 1.3 lakh in favour of Ghulam Mohammed Wani under the constituency development fund of Omar.